A senior Israeli official met last week with the president of Chad, a Muslim-majority nation that does not have diplomatic relations with Israel. The meeting is another sign of growing ties with African nations following Prime Minister Benjamin Netanyahu’s trip to the continent earlier this month. on July 14 at his presidential palace in the city of Fada, in the heart of the Saharan desert, the Foreign Ministry said Friday in a statement. the Foreign Ministry’s statement read. “It is a Muslim, Arabic-speaking country that deals with radical Islamic terrorism and this year holds the rotating chairmanship of the African Union.” The two sides discussed issues of common interest and the deepening of bilateral cooperation. Some 13.5 million people live in Chad, 55 percent of whom are Muslim. About 40 percent are Christian. Gold on Wednesday signed a joint declaration announcing the renewal of diplomatic relations with Guinea during a short meeting with the chief of staff of the Guinean Presidency, Ibrahim Khalil Kaba. 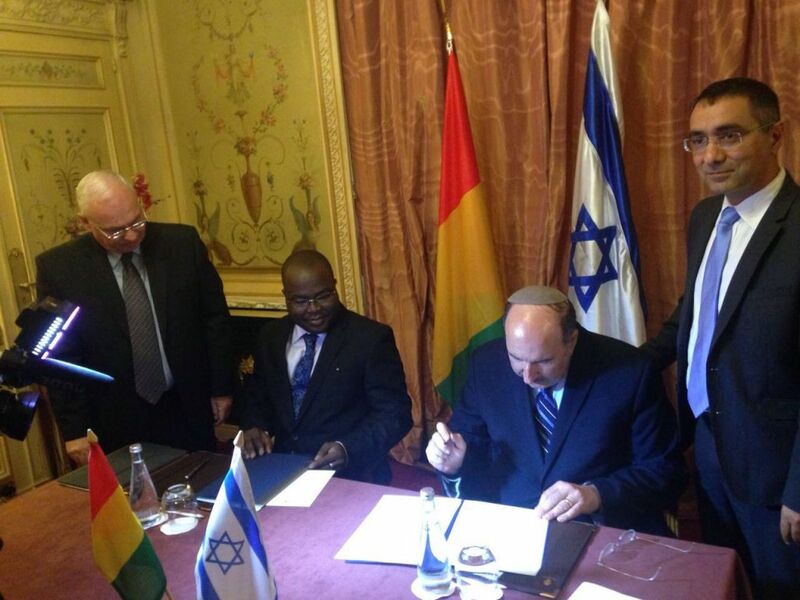 Netanyahu has declared the establishment of diplomatic ties with all African nations a strategic goal for its government, and visited sub-Saharan Africa two weeks ago. The Times of Israel recently reported that Netanyahu met with the president of Somalia, Hassan Shekh Mohamud, in the first high-level contact between the two countries. Somalia, a mostly Sunni Muslim country and a member of the Arab League, has never recognized the State of Israel. During his historic trip to Uganda, Kenya, Rwanda and Ethiopia — the first prime ministerial visit to sub-Saharan Africa in three decades — Netanyahu announced the intention of Tanzania to open its first-ever embassy in Tel Aviv. He also said the leaders of his host countries vowed publicly to push for Israel to regain observer status at the African Union.